No guarantee – Be very wary of anyone that promises a set number page one rankings. Keep in mind that the ultimate goal is not just page rankings but an increase in market quality traffic, conversions and finally sales. Being on page one does not guarantee that any of the other goals will be met unless you are targeting the right keywords. Finally avoid those companies that constantly contact you to tell you they noticed you are not on page one and they can get you there right away. Active in industry – Reputable SEO companies are active in their field. They may be active with various SEO/SEM organizations or have a blog on which they post valuable information to the industry. These connections help to keep them abreast of changes in the industry to better serve their clients. 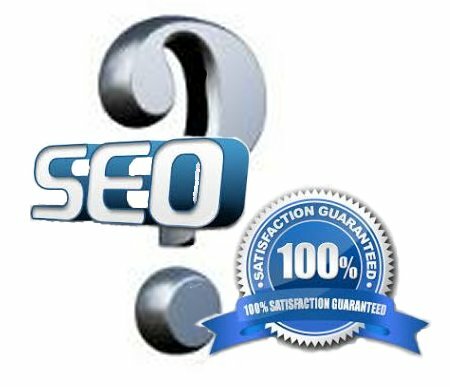 Knowledge on current SEO issues – A reputable SEO company stay abreast of industry changes and is current on factors affecting search engine rankings. You should question them on some of the current issues to determine their level of knowledge. Check out what they tell you! Proven history of results – A company that is reputable is certainly willing to provide a list of references that can verify their work. Check some of them out! Their website ranks well, not just locally – If the company you are considering seeks work in more than just the local community their website should rank well for keywords related to SEO. Does not talk down your previous SEO – A reputable SEO has no need to talk down the previous SEO company. They should however feel free to point out any problems or missed opportunities from previous work and provide recommendation to correct or take advantage of them as well as state the benefit to you. Avoid companies that “Also Do SEO” – At all costs avoid any company the claims that they also do SEO. SEO/SEM is a difficult business and requires people that have dedicated themselves to the business through constant education. Look for a company that advertises the training and expertise they have in personnel dedicated to SEO to ensure they have the expertise you require. Does not require long term commitment – This factor goes hand in hand with the first one of a reputable company no giving guarantees. A company that looks to lock you into a multiple year contract should be avoided at all costs. With the uncertainty in the SEO business you could find yourself paying for years with no results. A contract of one year is not consider too long and should show definite results from a reputable company. Shows you what they are doing – A reputable SEO company should be willing to tell you step by step what they are doing to improve your rankings. This business is not all magic tricks and your SEO should not keep you in the dark as to what they are doing. Does not quote a price until they have researched you company – This goes hand in hand with avoiding companies that quote a standard pricing. Without the background research on your company it would be like getting a quote on a new car before selecting the model. They have a no-compete clause in their contract – A reputable SEO company will have no problem with agreeing to not work for your competition. After all, you are hiring them to get you ranked higher than your competition so you don’t want them working for them and promising to get them ranked higher than you. Take your time and research SEO/SEM companies prior to making a decision and you should be able to find a reputable one that will move your business forward.